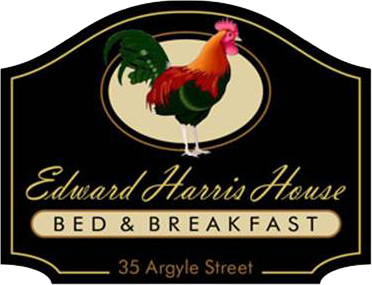 We are pleased to announce that The Edward Harris House was recently accepted as a member of the BedandBreakfast.com's Diamond Collection Inns, we were also awarded 2013 winner of TripAdvisor's Certificate of Excellence, ILoveInns, and American Historic Inns "2009 Top 10 Most Romantic Inns" of North America, and Bnbfinder's award of Five Star Distinction. Click on the individual links below the logos to read more. We are pleased to announce that we have been awarded TripAdvisor's Certificate of Excellence for 2011, 2012 and 2013!